Here. Here. Try telling that to a deeply entrenchend, over subscribed Daily Mail reader, and you’l be heckled out of the country faster than a rastafarian at a UKIP Convention For The Reconcilliation Of Goodwill. There again, Hennessey – who is Attlee Professor of Contemporary British History at Queen Mary, University of London, has always been in prime posession of a nigh unrivalled knack, of politicaly telling it as it is. There mere fact that Establishment and Meritocracy has been written in memory of Michael Foot, speaks volumes of both a finely attuned wit, as well as that of a gesture of resouding good will. That it’s also peppered with a menagerie of corking one liners (‘The Establishment is the present-day institutional museum of Britain’s past greatness,’ ‘if England were out of the game, the price of fish would not be altered by a farthing,’ ‘I’m not a landower, I’m a brain owner,’ ‘We need to re-discover our heart. If we want to avoid moving into a new ice age of humanity we must give more weight to reasons of the heart,’ ‘knowledge translates directly into power; love translates into service’) should come as absolutely no surprise. 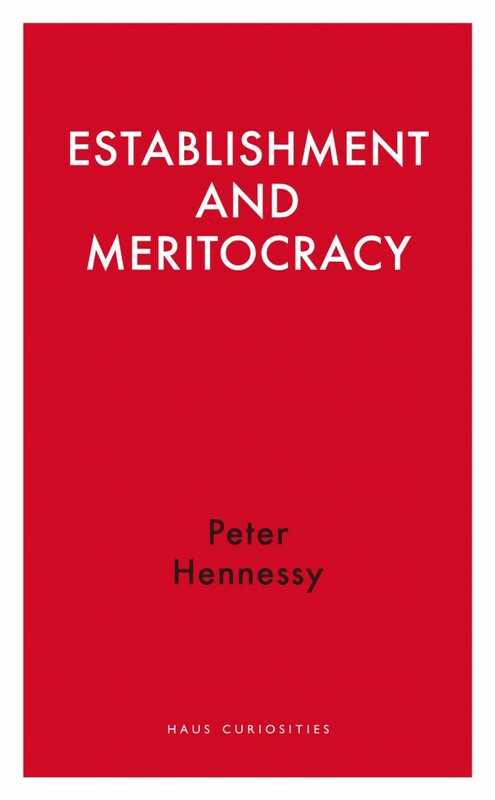 Establishment and Meritocracy is a cloying, cleansing, and so far as the powers that be are concerned, calamitous read. It sets the record straight in much the same way as it’s musical cousin, ‘Eton Rifles’ by The Jam; which, if memory serves, is one of David Cameron’s all time favourite songs. The fact that he’ll probably (once again) miss the point entirely of course, can only continue to lend itself to a canon like lack of sublime meritocrical understanding in the first (tragic) degree.